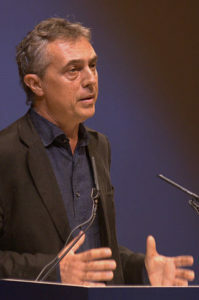 Stefano Boeri This file is licensed under the Creative Commons Attribution 2.0 Generic license. I mentioned back in July 2017 that I had serious doubts about the so-called Forest City supposedly already under construction in Liuzhou by Stefano Boeri Architetti, an Italian company. In February of this year, newspapers and magazines around the world reported that the “ground has been broken” on the project (some seven months after it was already under construction). The similarities in the story wherever published convinces me that it is being taken from a press release by Mr. Boeri. Recently, along with an acquaintance, I set out to discover exactly where this place was being built and determine whether any work had really started. Almost everywhere we asked, we were met by blank faces professing total ignorance. Finally my acquaintance visited Liuzhou City Urban Planning Bureau, who had supposedly commissioned the project and was total very clearly that it was untrue and the project doesn’t exist. The word used, 谣言 means ‘rumour’, ‘groundless accusation’, or ‘unfounded report’, so the official answer is that no such project exists or has started, despite all the claims on Mr. Boeri’s website and in the press. The website also claims that other such cities are planned or being built not only in China, but around the world, yet the only one illustrated by anything other than artists’ impressions that I can find is two relatively small tower blocks in Mr. Boeri’s home city of Milan, Italy. Despite his qualifications as an architect, Mr. Boeri’s career seems mainly to have been in magazine publication and event promotion. This is not the first time, this sort of things has happened. 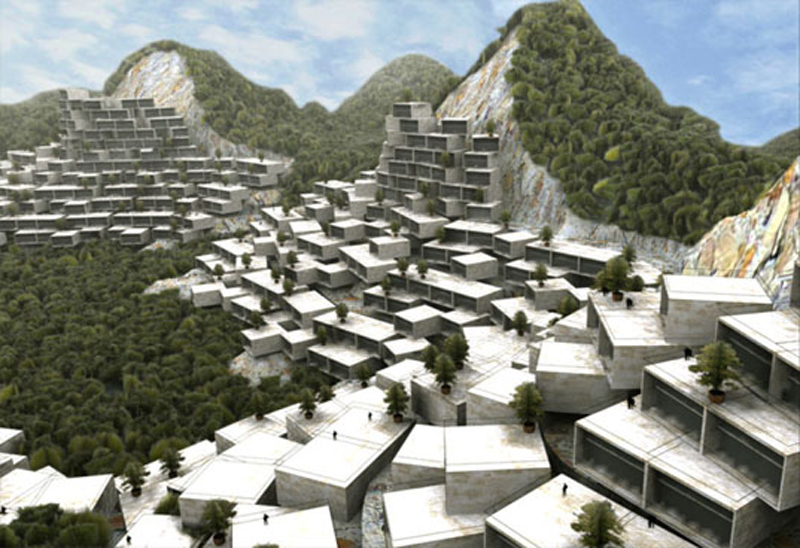 In 2010, it was announced that Dutch architecture firm MVRDV was planning to build 2,700 new homes on the karst mountains in the south of the city. Again, artists’ impressions were widely publicised and the project came to nothing. If anyone has any real information on any “forest city” really being built anywhere, I’d love to know.
. This entry was posted on Friday, September 28th, 2018 at 1:27 pm	and is filed under About Liuzhou, Liuzhou News, Strawberry Fields. You can follow any responses to this entry through the RSS 2.0 feed. Both comments and pings are currently closed.